Myths About Alcohol - A.S.K. Allegheny County Juvenile Probation Parent-of-the-Year to be announced! good :-) Click "read more" to see another cake! 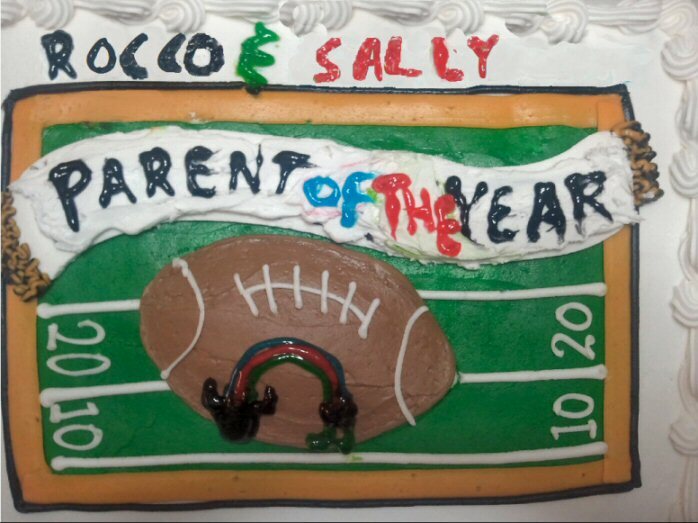 Once again, a parent from PSST will be named Allegheny County Parent of the Year! The award will be given on October 6th, but the fun happens this Saturday, October 1, at our Eastern District Probation Office where no doubt we will celebrate as we always do- with CAKE! 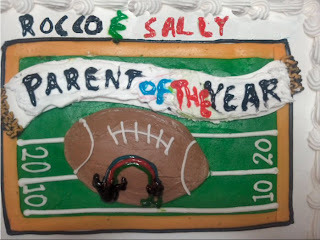 This year's winner was nominated by numerous people including parents. This year's winner won for acts of bravery, excellent command of PSST skills, for showing a lot of growth, and for reaching out to other parents. Those nominating felt that this year's winner stood out for those reasons; however, it is also true that this award could have been given out to many other PSST parents who also act bravely, study and use the PSST skills, show a lot of improvement and reach out to other parents. In some ways, everyone who attends PSST wins (again this year!). 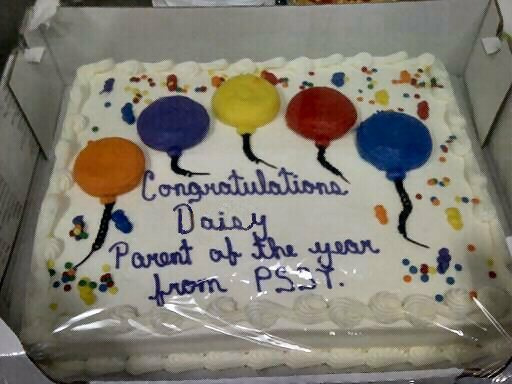 Click here to see pictures from last year's Parent of the Year Award. October 6th. If you know who won remember "mums" the word! 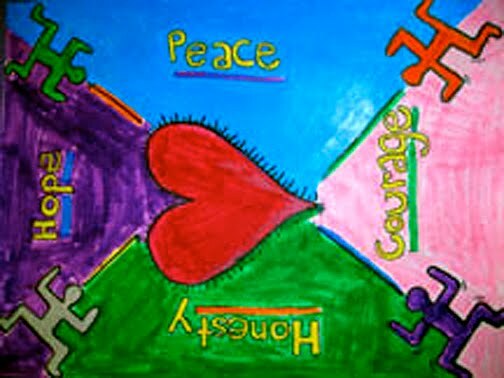 On November 11, 2011 there will be a live workshop on Oppositional Defiant and Anger Issues in Children and Adolescents at the Embassy Suites - Airport with Program Director Jay Berk Ph.D.
Wilma plans on bringing fliers to this Saturday's meeting. CLICK HERE if you wish to look at the information online. They say that it gets worse before it gets better but its only getting worse. I updated Bam Bam's status last week. It feels like a decade ago. Wednesday 9-21 started like any other day-Bam Bam didn't go to school, badgered Fred for money (it started at $5) and escalated to Bam Bam punching a door with his broken hand, punching out Fred's lawn tractor-which doesn't work now and we dont' know if it can be repaired, and threatening that the next thing he punches will be Fred's face. 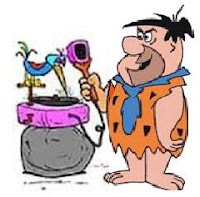 What was different is that FRED CALLED 911. I was terrified and elated when he called me at work to tell me he called the police. He finally DID IT! When I got home there were two squad cars and a third came shortly after. Now we had THREE COPS at our house. They said they couldn't arrest Bam all they could do was write a citation and he would have to pay restitution. I said I wanted him to go to Shuman but they said no they couldn't and had a bunch of reasons which I don't remember. In hindsight, should I have pushed them?? I don't know. One of the officers was a former EMT and because of the violent situation that had started over really nothing and Bam Bam's psych issues he suggested calling the ambulance and having him evaluated which we agreed to. We spent 10 HOURS at hospital number 1. Bam begged me to stay with him so I stayed with him in psych holding. I was prepared, though, to leave at the first sign of any aggression. He was the only adolescent there. When asked by the psych nurse what I wanted I told her he can't come home he needs help. She asked me several times if I was sure (I think she wanted me to change my mind) but I told her "I was not comfortable taking him home.)" What would he do then? We had already had experience taking him home and before leaving the parking lot of the hospital Bam Bam was using abusive language and throwing things. I wasn't making that mistake again. Bam of course worked very hard at trying to change my mind but I held firm. Fred was in total agreement with Bam not coming home. He waited in the general emergency waiting area. While talking with Bam and the nurse for our interview and intake Bam Bam admitted to relapsing "once" the week before, however, based on his behavior over the last 6 weeks or so I was suspecting him of using. We had given him two urine screens that I felt he had manipulated somehow but couldn't be sure. They both came out negative. I then bought oral saliva drug tests that Bam Bam refused. He told me I was trying to trick him! I think he knew his goose was cooked as he wouldn't be turning away from me to give a sample, I could watch him the whole time. There would be no "I can't pee in front of anybody' or Not in front of my Mom!" He also admitted to taking niacin (Fred found large white tablets in Bam's string bag when he went home to pack a few things for his stay at Hospital 2 and Bam said that was the niacin and our friend the pharmacist concurred). Bam's Bam's behavior prior to this episode was constantly needing money, hanging out with his same people, places things and of course his new "friend" Cueball who we suspect of stealing beer from us and also Bam's new $350 glasses. I called the counselor at school to see if the glasses were in Bam's locker. the locker was completely empty. She told me that kids will sell their glasses for the frames. And this is what I think happened-he either sold them for money, traded for drugs or Cueball stole them. Not matter what the truth they are gone and Bam doesn't have any glasses! When I mentioned Cue's name to the counselor she said we should be concerned that Bam Bam is associating with him. Finally transport arrived so that we got to Hospital 2 about 12:30-1:00 Thursday morning. We were exhausted! He was allowed to call Friday night and of course says he is o.k. there is no reason to be there, etc. I had already talked to the PA earlier in the day who brought up possible DAS (Diversion and Stabilization) program. now that Bam Bam has medical assistance there are no roadblocks to treatment that is denied under our primary insurance. Hallelujah! Saturday I went myself to visit. I took Bam some McDonald's and he tried to work me during the whole 10-15 minute visit. I didn't bring up any possible treatment scenarios as I needed him to hear it from the staff. I just told him we had our meeting with the counselor on Sunday and see what he said. Later on Saturday I picked Fred up after the PITT game and he talked the most he's talked about all of this. One thing that was different is that he is not falling for Bam Bam's games anymore. He talked about how he let Bam Bam use him for money, rides, believing his lies. I felt sad for him but so glad that FINALLY we are together on this. Sunday we had our family meeting with the therapist. The therapist and doctor are recommending the DAS program. Bam DOES NOT WANT THIS. He wants to come home and be with his family. that is all he needs along with maybe some rehab. he DOES NOT get that he also has mental health issues that need to be dealt with and it's the usual what do we do first? Mental health or D&A? to get dual dx treatment has been a nightmare for us and I am considering dropping his primary insurance so that we don't have so many problems getting him proper treatment. Because of his escalating violent behavior (which he does not see) he needs to go. The therapist said that Bam is making poor decisions (drugs, alcohol, stealing, etc) not really in touch with reality, etc (I should tape these things) he strongly recommends the DAS. Fred mentioned to the therapist when we were leaving how Bam had been asking about his BB guns and without blinking an eye he said Bam was going to sell them. Fred never thought of this, wouldn't want to think this but is believing it now. Later on we went to visiting, took McDonald's, and Bam Bam was telling us he does not think he needs the DAS. He'll go back to therapy all he needs is to come home. We told him if he didn't follow the treatment plan he WAS NOT COMING home. He was shocked. Later on the nurse called twice to tell me he was agitated, had punched something and was asking for something to calm him down and again that she had to call the doc. What Bam didn't tell us earlier was that he had told staff and patients that he didn't agree with anything that was recommended and that he was going to scale the fence (i'd like to see this) and run off. What that got him was level 2, not allowed to leave the unit. Also on Sunday Bam is getting text messages from somebody he owes $20. I texted back "???" and this kid texted back that Bam should bring the $20 to school Monday Hmm, wonder what that's for??? Today the kid texted "YO" so I guess he's going to be waiting awhile before he gets paid back! Today, Monday. Bam's ACT 53 went without a hitch. His case was continued and we didn't have to appear before the judge. The judge didn't even want to hear the gory details so it was uneventful. 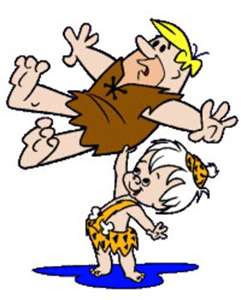 Fred and I filled out a juvenile court allegation form to press charges against Bam Bam for this latest episode. This time it's both of us, not just me and hopefully Bam Bam will get probation. We both really think he needs the added court supervision. He is getting more out of control. I also talked with the social worker at the hospital and a referral was sent to the DAS program even though as of yesterday Bam said he wouldn't go. DAS is voluntary so he is going to have to agree. i did let her know that if he refuses he is not coming home and cyf will then have to get involved. If he does agree I am also working on alternative transportation from one place to the other. Yesterday we were told that we have to get him there. however, we have had him in the car trying to jump out, throwing things, grabbing the steering wheel so I told the social worker that I don't think we can safely be expected to transport him unless he was unconscious and/or handcuffed in the back seat! I am working on private ambulance which of course our primary insurance doesn't cover but Gateway might. The Social worker also said she will look into alternatives. So that is where we are today. The Diversion and Acute Stabilization (DAS) Program is an acute treatment facility that provides an alternative to inpatient hospitalization for children and adolescents; ages 9-17. The program features basic psychiatric assessment and medication monitoring, intensive individual, family and group therapy, case management services during the course of treatment, educational services and organized activities that will prepare residents for integration back into the community or in some situations to stabilize prior to moving on to another level of care. Emphasis in the DAS Program is placed on a Cognitive Behavioral Therapeutic model. This model allows us to engage residents in a safe environment that provides them with insight to precursors for behavioral and psychiatric issues that manifest acutely. The DAS Program includes all aspects of the Sanctuary Model in providing trauma informed care during a resident’s stay. The environment affords the client a more homelike and comfortable environment where the adolescent can be evaluated and participate in the therapeutic setting. The program will continue to be licensed under the 3800 Regulations for Children and Youth Providers and is overseen by DPW and OMHSAS. Mission Accomplished! Thank you PSST volunteers!. It was a great evening. It was what a PSST meeting on the road might look like. Mr. Chip McClellan from CISP was an excellent host. We were offered dinner as well with Cheese Cake and of course I never met Cheese Cake I didn't like. I provided an introduction. Next all Six volunteers took a turn sharing their story. Then we met the parents from CISP. Then, it was time for PSST role-plays and we were pleasantly surprised to find CISP parents wanted to be in the role-plays! All three role-plays were done with CISP parents playing their teenagers. Our PSST parents demonstrated. We look forward to seeing some of the parents we met at one of our next meetings. I just spent 4 days in heaven (the beach) and came back to he!!. Bam Bam was discharged from placement on July 1st and it has been a roller coaster ride. He has not been following any of the recommendations of his discharge. He doesn't participate in any recovery activities such as going to 12 step meetings. He doesn't think he needs to do this. He stopped going to counseling even though according to the ACT 53 case manager he can't do this. He initially refused to return to his psychiatrist for medication management when she called him out as exhibiting drug seeking behavior when he started trying to dictate what medication to take. I tried to find him a new psychiatrist but it was virtually impossible to find an adolescent psychiatrist that participates with our insurance. His dad stepped up the plate and got him back in with the former psych (while I was away) when Bam realized he wouldn't be able to get any medication for his ADHD and anxiety. I did take him to the doc appt as Fred doesn't know or understand the different meds. Bam is also hanging out with all of his old friends and a new one that my gut is telling me is trouble. He also still hangs out at Eddie's house a lot. And he is planning to go to Homecoming with a female friend of his who is always stealing her mom's car, staying out all night and generally causing her parents much grief. Two years ago after homecoming I found out later she and her two girlfriends had gotten hold of a couple "handles" and were so drunk that one of the boys thought that one of the girls was going to die. She is the friend I always suspected of bringing vodka in water bottles to Bam's 15th birthday party. So much for avoiding people, places and things. Last month at a meeting with our agency svc coordinator Bam stated that he wanted to be independent from us. All three of us looked at him like he'd grown another head! He said he just wanted to be independent so we couldn't make him go to court. I told him he would need a full-time job and to find an apartment. He reminded me he was only 17 but I told him that didn't matter he would not be living with us. After this incident I told him he would have to find his own doctor. I have done two home 12-substance drug tests that have been negative. He had refused to do them at Juvenile Court which was the stipulation at his last hearing but we compromised with the case manager to do them at home. He is supposed to give the sample in front of his dad but he turns his back to him. I think he is up to something but not sure what. I had given him an alcohol test and the color change was only on the sides of the test strip making me suspicious that he didn't saturate the test strip thoroughly but I am sure he was drinking. He started school last week and has hardly been in school. Day 1 he was there all day. Day 2 he was having trouble with his hand so Fred picked him up from school and took him to the e.r. for an x-ray. Lo and behold he had a hand fracture that had started to heal. As near as we can figure this was from him punching a storm door the day he had asked for independence and then I told him he wasn't selling his clothes for spending money. He was really pi$$t that day. He took a brand new shirt with tags that didn't fit him and ripped it in half. I had told him that day and before that he wasn't selling clothes that he did not purchase for spending money for who knows what. Days 3 & 4 he went to school but then went to the principal’s office wanting to come home after he'd been in school an hour or so. He'd been having anxiety attacks. The principal felt since it was a medical problem Fred needed to bring him home. This was how Fred got him into the psych office. Day 5 Psych appointment and then didn't go to school. He wanted to go back to his old school for senior year and we agreed. Went through the whole process to re-enroll him, the counselors worked it so he could be a senior and would graduate with his class. He texted me last week he wasn't going back to his old ways, he likes school. However, today he told me he wants to go our school's alternative program for school. And I have to mention also that when he isn't getting his way about anything he tells me he isn't going to school, so I tell him he will need a full-time job and apartment. He was supposed to start a job last week but has to wait until the hand is fully healed. Also can't take gym (he has to take 11 and 12 gym) due to the broken hand. He also needs/wants money all the time! Today I accidentally discovered the back screen door to our basement was open. When I went to check it out I discovered that the inside back door was unlocked. Now, we always keep our doors locked so someone (Bam Bam???) left it open for himself or someone else. Fred checked his beer supply - he had left half a case in the basement fridge not thinking about anything - and it was gone. Bam Bam denies any knowledge of it. This is the second time in a month this has happened. Do these kids think we are so stupid not to notice a whole 1/2 case of beer is missing?? After the first time we didn't keep a key by the basement door so Bam and his friends couldn't go in or out that way. We think he used the key by our front door upstairs to unlock the basement. I was at the beach and Fred doesn’t have a clue how long the door was unlocked and the beer was gone. We also haven't noticed anything else missing. However, Fred has an extensive sports collection so I think it would be difficult to tell if anything is missing. I think he finally is going to be more careful. He hardly ever drinks beer but on these two occasions he was careless. I am for changing the locks but Fred doesn't think a key is floating around out there. We will see. Also while I was gone Bam wanted in my bedroom (I keep the door locked at all times - even though you can pop it with a bobby pin, it is a deterrent especially when we are home.) He told Fred he wanted a necklace and that it would be o.k. with me. Fortunately, Fred didn't fall for that story. I don't know how many times I have to tell him Bam is not allowed in the bedroom - I keep things hidden in there from Bam Bam. I also have some jewelry missing (fortunately only one good pair of earrings) that hasn't surfaced and, after catching Bam in my jewelry box last year, I think he stole some of it but of course I have no proof. Brigitte, if you are reading this, I know I would like it if Bam had an ankle bracelet to keep him out of my room!!! And lastly, I think he was involved in shoplifting a pair of pants recently. He came home and asked his dad for $37 for pants his friend Cueball picked up for him but there was no receipt or bag. And of course Fred gave him the money. We both are suspicious of this incident but again have no solid proof. So, we wait. His ACT 53 hearing is September 26th so I can only hope that the judge keeps his case open. Bam worries about going to court and being sent away again so that is the only leverage I have right now. I hope that it is enough. I just wanted to share something that was said to me this morning. There was a 20 year old boy in my neighborhood that was shot in the head in his own living room and killed the night before last. The boy has been involved with drugs for several years. I am not suggesting that his parents did not love him because I know his mother and I know how much she loved him; but she did not have the tools to do what needed to be done. This just reconfirmed to me that we have no choice but to do everything we possibly can to save our kids as hard as it is and as much as it hurts us. Once again I just want to say that I am so thankful for all of the support we get from PSST parents and Probation and Wesley Spectrum. I, for one, know I could not be able to do it without their help and/or without my faith. So thanks again, Val, Lloyd, and Kathie T.
EDITOR'S NOTE: Thanks so much for your note Daisy and all that you have done for us at PSST, in your participation, in sharing your faith and as an example of how a single mom can alter the cycle of addiction. For anyone reading this that has a teenager abusing drugs/alcohol and not sure of what to do; Please come to our next PSST Meeting. This is a potentially deadly game they are playing and doing nothing is NOT a solution. "...as hard as it is and as much as it hurts us" it is what we do for our children and our families. We were very happy to have Ken, a veteran PSST Parent, return to our Wexford Meeting and would like to extend our thanks to him for taking the time to return and share his story with us. We would like to extend an invitation to all long time PSST Parents to join us at a future PSST Meeting at their convenience. As Ken, and our other long time parents, know it usually takes a lot of our time and effort before our children accept their recovery and begin to work their steps earnestly. We generally acknowledge that we are in this for the long term, never-the-less, at times it is very tiring and it can seem hopeless. It is always helpful to hear from others that our efforts are worth the time and energy we are investing. A lot of our veteran parents have made it to meetings in the past and we do appreciate the time and effort it takes to spend a Saturday morning with us. We don't have balloons but we do have a lot a of good coffee, good food and good conversations to share. Thank you all for your support and we hope to have other PSST Parents return to share their stories. As Cheryl and I (Jim) have walked life’s path with our teenage addict, Andy; we’ve learned (much to our dismay) to navigate through the Juvenile Probation system. Although, some may think that the “system” is harsh (reference Shuman), we’ve always found that it is very understanding (sometimes too much so) and eager to provide some form of program or assistance in an attempt to put our juveniles back on the right track. This world of forgiveness and “do-overs” creates a cocoon of false security that it will always be this way for the juveniles, no matter what they do or how much trouble they get into. I think not, because it gives the juvenile a chance to learn from the errors of their invincible, hormone driven ways without a permanent record. Then comes their eighteenth birthday, a day of reckoning as they “legally” pass into adulthood. They cross this threshold without seeing or feeling the removal of the cocoon, nor our ability (as parents) to effectively intercede on their behalf. It is a cruel and rude awakening. Suddenly, all of our past warnings of what life in adult jail would be like become their reality. Andy’s endless eye rolling and heavy sighing (are you done preaching yet?) are replaced with his tears and fears. Tears that are shed during the daily fifteen minute collect calls and having to cover his face to hide his emotional weakness from his fellow inmates. Our once supposed self proclaimed tough street kid is now nothing but a scared little boy. So far out of his element, he is often afraid to leave his cell. The newly incarcerated “adult” spends awhile in denial that this new “burden” is going to stick and hope that somehow they will once again escape with a slap on the wrist and a pat on the bum. Denial gives way to anger that we as parents are not rescuing our little angels as we’ve done in the past…in a large part because we cannot and another part that we will not! Anger turns to self loathing because of their (finally, now apparent to them) stupidity to have broken the law. Finally, deep remorse sets in. They have nothing to do but expend every waking hour contemplating their future, or lack of it. Their new despair anticipating the worst possible fate leads them to periods of great depression. I’ve never been to the Allegheny County Jail, but recently I’ve talked to enough people that have been inside to believe that it is as nasty and gruesome as it is purported to be. Andy wouldn’t even submit a visitors list to be approved because he didn’t want us to see him there. 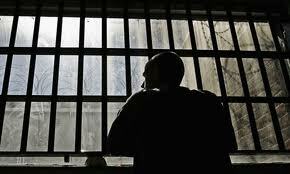 He now realizes after experiencing the adult system that nobody in jail cares about him as an individual. Nobody cared when they stripped searched him. Nobody cared that he didn’t shower or brush his teeth for five days while he waited in processing. Nobody cares that he doesn’t have basic hygiene products. Nobody cares that they only issued one inmate jumpsuit and underwear to him. 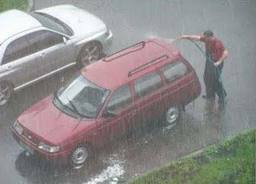 Nobody cares that he has to do his laundry while showering and hang it in his cell to dry. As we continue to learn the adult justice system (again, much to our dismay), we will continue to try to help Andy to the extent that the system will allow us. The only positive aspect to this experience may be Andy’s negative memories in jail will override his desire to break the law in the future. Andy tells us that he would rather die than live in the jail. Lesson learned? Only time will tell. 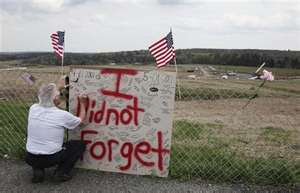 We remember and pray for the innocent victims of September 11, 2001. 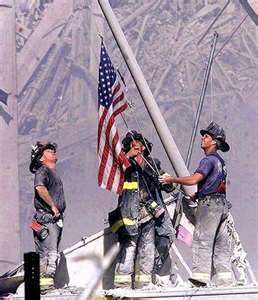 We remember and pray for the survivors of September 11, 2001. 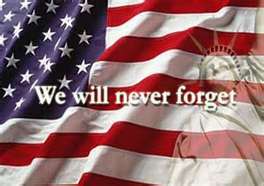 We remember and pray for those who lost loved ones on September 11, 2001. We pray for our fire fighters, police, EMT, rescue workers, nurses, doctors and all public service personnel and for their loved ones that support them. 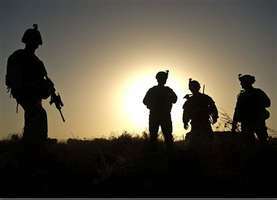 We pray for our U.S. Military men and women that dedicate their lives to protecting our freedom and for their loved ones that wait for their return. We pray for our great nation; that tragedies, though terrible, bring us closer together not tear us apart, and continue to show the love and compassion we Americans are all capable of. 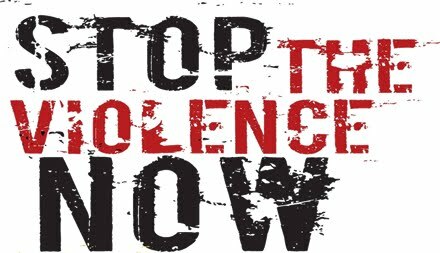 We pray for those who are tempted to think that violence accomplishes anything of lasting value in this world, in our country, in our cities, in our towns, in our neighborhoods or in our homes. We pray for the peacemakers in the world. Zoe is older & wiser at 8 years of age with 100% freedom in the house and outdoors. Gizmo is 1 ½ years old, caged in the house while we are away from home and on a leash when outside. 2) Or you can be Gizmo, who has yet to obey all rules/commands set for him and is getting into trouble 24/7. He can’t be trusted alone or while under our watchful eye; therefore when we are away from the home he must be placed in a kennel (cage) to prevent negative behavior. When he is permitted to go out with his friends (Zoe & Finnegan) he must be kept on a leash at all times to keep from running away. It’s up to Andy, or any other teen that is pushing the envelope of house & society rules. How does your teen want to live their life under your roof? *Editors note: names have been changed to protect Gizmo's privacy! We've been having interesting guests of late. This Saturday will be no different as Tom Workman, Director of Liberty Station Halfway House, will be our guest. Primarily, Tom wants to observe; however, there are some changes at Liberty Station of which he wishes to advise our group. Tom has many years of experience at Abraxas Center for Adolescent Females. EVERYONE seems to agree that Tom has brought badly needed changes to Liberty Station, where dicipline, structure, and accountability is more important than ever. Also, thanks in part to assertive PSST parents, (you know who you are) Liberty Station is updating and "following" it's own handbook!!!!! Unfortunately, I haven't been able to make it to the meetings in the last couple of months. However,I have a question for our Parents and Professionals. My 16-year old nephew was recently arrested for possession of a small (according to him) amount of marijauna. He lives in and was busted in the city. He wasn't taken to Shuman but his dad had to pick him up at one of the local police stations. This all happens the day after his mom comes home from the hospital (she was in over a week) after undergoing major abdominal surgery. Of course to him this is all a big joke and he tells his parents that nothing is going to happen to him-basically he thinks he will get off scot-free. He is still posting on his facebook pics of him smoking weed. I of course am trying to prepare my sister for what possibly will be the reality and that is he may get (hopefully) probation and have a drug and alcohol probation officer. I have also told her he might possibly be sent to an in-patient facilty (we can only hope) I also have been trying to get her to understand that she and her husband can speak up in court when the time comes especially since Cool J has been out of control. There have been many other incidents with him but this is his first arrest. I am also trying to get her to come to a meeting! Generally, what events/process can my family expect once Cool J's case goes to court. I know every case is different but I thought getting an idea what possibly can happen would be helpful. 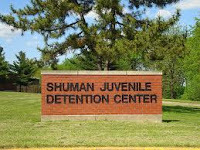 The arresting officer did tell the cocky teen that if he is busted again he will become acquainted with Shuman. This is the cousin my son, Bam Bam, recently was hanging out with. Thanks for any information/advice/thoughts you may have. It was so nice to see ya'll at today's meeting. I still get so much help at PSST, so I keep coming for that reason and for the donuts and good coffee too!! Thank YOU, Jerry, for being a special guest today. You were an integral part of our PSST meeting. Your insight is so valuable. When we got home today, I suggested to Rocco that he and I put on our scrubby clothes and wash the cars. Rocco went out first to start vacuuming the vehicles and I decided to have a short conversation with Cisco. He was home on a pass and anxious to go out with some friends. Moms: You said in the car on the way home today that Jerry feels you did your program well and that it would be good for you to get an apt or move home. You made $30.00 this week and if you are serious about getting an apt. or coming home you should let me put a little bit of that money away for you. How about if you give me $5.00 to put in a savings account? Cisco: Good idea mum, here take ten it will accrue more interest. I'm going to Terri's and will call ya later so don’t worry about me tonight. Love ya. Moms: Love you too, have fun! Note: I should have stuck with just trying to get him to save a few dollars for his future. Cisco:[cuts mom off]: If I come home? SO dad doesn’t want me to come home!? Mom: I cannot say what dad thinks or feels but I can tell you what I feel, sometimes I want you to come home and sometimes I do not. I am on the fence about it. However, if you do come home I want you to know that dad gets the final say on things. Dad is in charge. Cisco: I don’t think I can come home. You are hard to get along with. I have trouble getting along with you. You tell me things that I already know and when I say “I know” you just keep telling me anyway. Mom: You are right, Cisco, if we cannot hold a simple conversation I don’t see how we can live in the same house. You respect Jerry enough that you have conversations with him and you listen to each other. Cisco: Jerry does not always have a ‘retort’ every time I say something, plus he understands me. Mom:: I’m glad you pointed that out to me. I do have something to say every time you say something to me and even if I don't try to, you sometimes think I am being sarcastic. [said with sincerity] I will work on that. Cisco: [a little more settled] You have to understand that I have been institutionalized for a long time and I get edgy. Mom: [Mom shakes her head in understanding then moves on to point number two] Let’s talk about saving a few dollars for an apt. Will you give me $5.00 to put away for you? Mom is thankful to get two dollars for savings [remember: baby steps] and records the amount in notebook and puts money in an envelope. Kathie and I had a productive meeting this week and she sure knows her stuff. She had some excellent suggestions for job and skilled labor training opportunities for Cisco. Kathie also had some suggestions for living arrangements. It is probably best for Cisco's next step to be learning a skill and then holding down a job. Rocco and my role as parents of a nineteen year old is to lay out some suggestions for our son and then let him choose the roads he will travel. I bet I should take Lloyd’s advice which is: Let the fact that Cisco wants a different place to live be Cisco’s problem which requires Cisco’s solution. Lloyd is wise. He wrote a post on this titled: Solutions vs. Problems What Do Our Teenagers Need the Most. Click here to go to that post. Then Rocco squirted me with the hose and a new battle began! It was such a hot day and the cool water felt good. TEENAGE ADDICTION CONCERNS? NEED SOME MORE PARENTAL SUPPORT? ARE YOU NOT SURE THAT YOU'RE THE ONE WHO NEEDS HELP? Families Anonymous is a 12 Step Support Group for Anyone whose life has been adversely affected by another person's use of drugs, alcohol, or related behavioral issues. Families Anonymous is a group of concerned parents, relatives and friends whose lives have been adversely affected by a loved one's addiction to alcohol or drugs. "But I'm not the one who needs help!" It was obvious that someone else near to us was the one with problems. Many of us were amazed, annoyed, saddened or shocked that our children refused our help, maybe even resented our efforts to help and would not acknowledge that they have a problem. 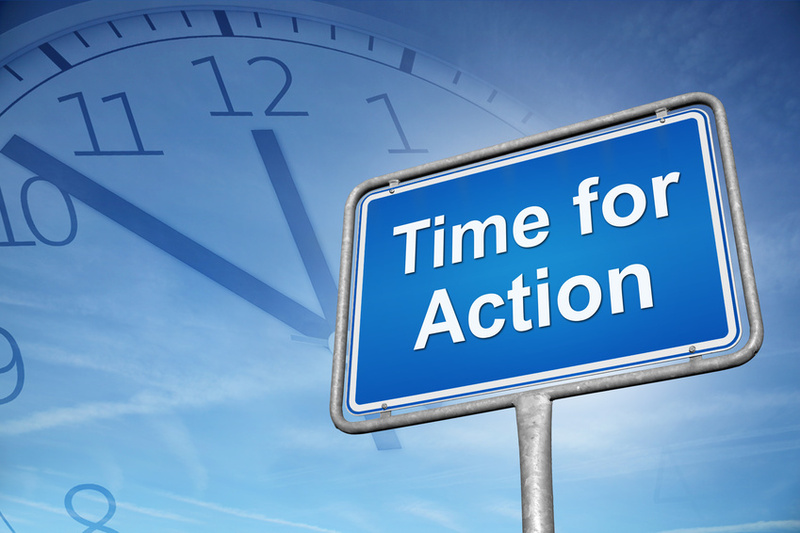 Families Anonymous is dedicated to doing something constructive about our approach to our loved one's problems. We learn from our own experience, but we can also get a great deal of benefit from the shared misery and foolish mistakes we make while trying to do the best we possibly can do. That realization, in itself, goes a long way in helping us to start feeling good about ourselves... and, amazingly, sets the stage for the recovery for both of us in many, many cases. Please join us on Tuesday nights from 6:00 to 7:30 p.m. Allow Families Anonymous to Help You on Your Road to Recovery. Click on Families Anonymous for more information on who and what we are. Jerry Stradford from First Step Recovery will be our guest at tomorrow's PSST. Jerry Stradford from First Step Recovery will be our guest at tomorrow's PSST. Over the years Jerry has worked tirelessly with recovering adults in the halfway house type setting of First Step Recovery. 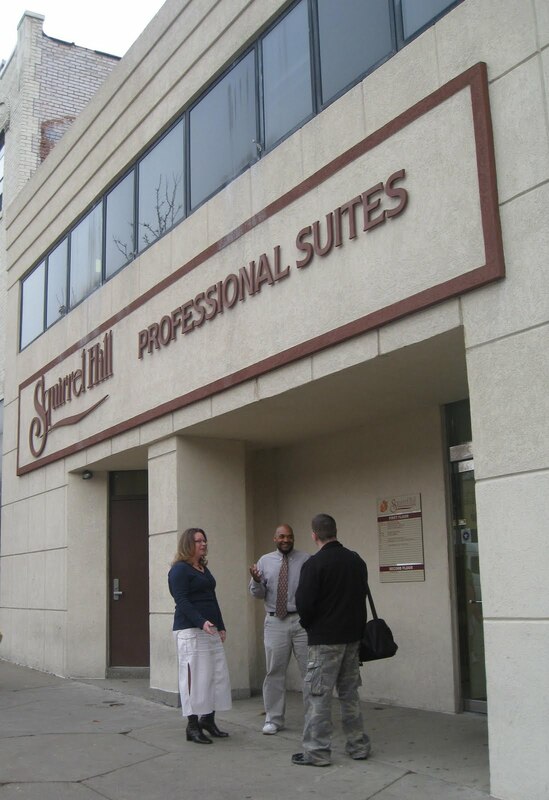 First Step houses recovering adults and provides group therapy and support for 12-step recovery. While Jerry will primarily coming to observe a PSST meeting, he will of course be able to answer questions from parents as well. Jerry has a strong background in addictions and has developed an expertise in counseling people in recovery. Jerry has worked with several teenagers from Juvenile Probation as well as older adults. Stop thinking of your children and their friends as either "good" kids or "bad" kids. Good kids drink too! Most kids experiment with alcohol and drugs, no matter what their background, intelligence or level of responsibility. This, in and of itself, does not make them "bad". It makes them "kids!" Some parents breathe a sigh of relief when they find their child is "just" drinking alcohol and not using drugs, but it is a myth that alcohol is a "better" drug. Alcohol abuse, drunk driving, and alcohol-related diseases take a major toll on our society, and children who begin drinking at a young age are at much higher risk of developing problems. Alcohol is by far the drug of choice among adolescents. It is the most used and abused mood-altering substance among pre-teens and teenaged children. Although some teens report it is easier to get illegal drugs than buy alcohol, the overall social acceptability of alcohol and the pervasive advertising that suggests alcohol creates a positive and rewarding experience often leads both teens and their parents to think drinking is simply a rite of passage with little danger over the long run. Some studies suggest that there could be as many as four million alcoholics under the age of 18, three years younger than the legal drinking age. The age when children begin drinking alcohol has decreased over the last few decades. Many children are already experimenting with alcohol in the fifth grade, many more than were just 10 years ago when teens were more likely to start drinking in eighth or ninth grade. According to the Centers for Disease Control, 40% of ninth-graders report that they tried alcohol before the age of 13 and had used alcohol within the past month. One of the detrimental consequences of this increase in drinking among children still in elementary school is that it has a greater effect on cognitive development at this young age. Students who use alcohol remember much less of their academic work than those who do not use alcohol. Also, statistics clearly show that the younger a child is when he or she begins drinking, the more likely they are to develop problems with alcohol as adults. According to a report in the Journal of Substance Abuse, more than 40% of individuals who start drinking before the age of 13 will develop alcohol abuse problems later in life (Grant, BF, & Dawson, DA. 9:103-110, 1997). Exposure to alcohol advertising also influences children by creating a positive attitude toward alcohol use. If children view alcohol in a positive light, they are more likely to drink at a younger age. - Children who have strong communication with their parents are less likely to drink. - Children whose parents set clear rules and expectations are less likely to use alcohol. - Children whose parents discipline them when they break the rules are also less likely to use alcohol. If you know, or even suspect, that your teen is using alcohol, drugs or any mind altering substance please come to our next PSST Meeting. There is no cost and no commitment. Hosting Teen Parties: What's Your Liability? I know what you're thinking: "This doesn't apply to me. I didn't 'provide' the alcohol because I told those kids they could not drink it." This slight technicality will probably matter little to a jury staring at a paraplegic victim. You were in the best position to ensure Johnny didn't drink your beer. To read the rest of this article click on: What's Your Liability? For more info click on: "Alcohol Can Kill; Alcohol Poisoning"